Description: TIS provided a 3-man confined space entry team to remove the sediment in a concrete oil/water separator that was to be decommissioned. 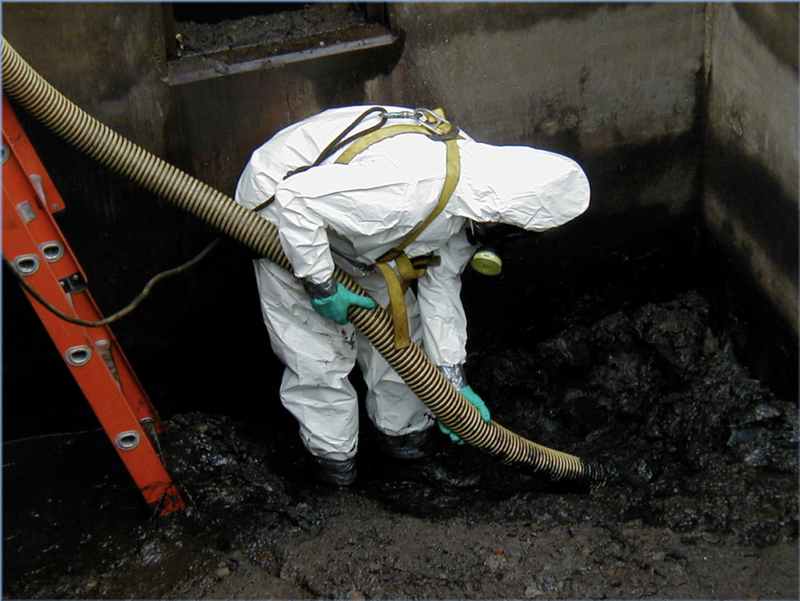 The sediment was characterized as hazardous for lead and benzene, so it was necessary to use OSHA HAZWOPER and Confined Space Entry trained people to conduct the project. TIS used a “Supersucker” vacuum unit to remove 12 cubic yards of hazardous sludge and place it in a closed top rolloff box. The confined space’s atmosphere was continuously monitored for CO, H2S, LEL, O2, and VOC’s. 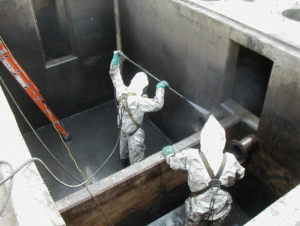 After the sludge solids were removed, the TIS Confined Space Team pressure washed the inside of the oil/water separator for final cleaning before destruction. The rinseate was pumped from the pit and discharged into the new oil/ water separator on site. TIS specializes in confined space entry projects and has earned a reputation for providing safe and cost-effective project execution. Besides providing properly trained and experienced personnel, TIS maintains all equipment needed for confined space work including air monitors, ventilation equipment, escape tripods, SCBA’s, supplied air masks with escape bottles, as well as chemical protective suits, gloves, and boots for all types of hazardous and non-hazardous chemical situations.